Social Emissions: Yeah they were all yellow. Yellow, lime, mustard, canary, lemon, gold ... anyone else noticing this massive trend ? 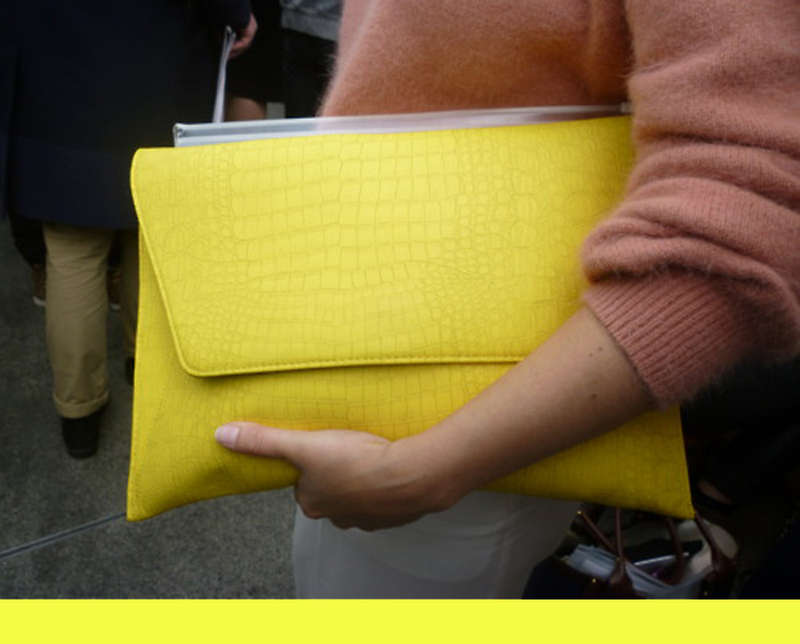 Not everyone looks good in yellow, so I think that is why we are seeing a lot accessories in this warming colour instead. What do you all think of it ? Pictures sourced from various blogs and tumblrs. I do not claim ownership of any of the following images. So much love for the way that you've presented these images! And now I desperately want yellow sock, haha. But yeah I totally agree - I dont think 'everyone' could pull off yellow. But maybe there is a shade of yellow fit for all of us? Oh hell yes to yellow. I love the little bright-coloured accessories you showed. LOVE it in small doses. Now that I think about it, yellow nail polish is the only item I own in the colour. This must be rectified! WHERE IS ALL OF IT COMING FROM!? Yellow is not my fav. It certainly is a hard colour to pull off! I have a pair of canary yellow chloe flats which just lighten up any outfit! I don't think I could actually pull off a dress or something. Great collage, I'm definitely loving yellow this season! You're right - yellow is not for everyone. I do like those neon yellow shoes from shopnastygal though (that whole shoot really)! yes I love my yellow!! those little wedges are amazing!!!! I followed you again on GFC... did it work? I hope so!! still loving your shizzz. and yes. 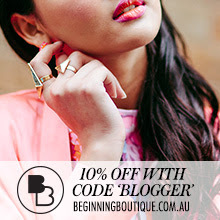 us brissy bloggers gotta stick together. we should organize a bloggers lunch or something? cheese and wine!! Brilliant choice of pictures. Love accessories in yellow. I'm definetely joining the bandwagon! Perfect outfit! Amazing wedges! So cool! Thank you for your nice comment. Definitely following you, as you have a very interesting blog! I love love love those leopard print tights! So much awesomeness right there. Love love love the colours. I love mustard yellow. Loving the yellow trend.